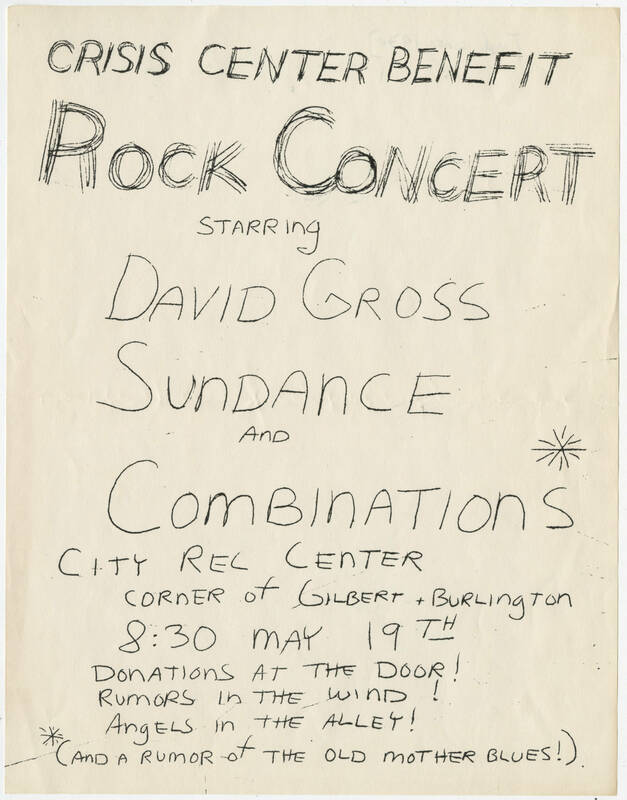 Crisis Center Benefit Rock Concert starring David Gross Sundance and Combinations* City Rel Center corner of Gilbert + Burlington 8:30 May 19th Donations at the door! Rumors in the wind! Angels in the alley! *(and a rumor of the old mother blues! ).